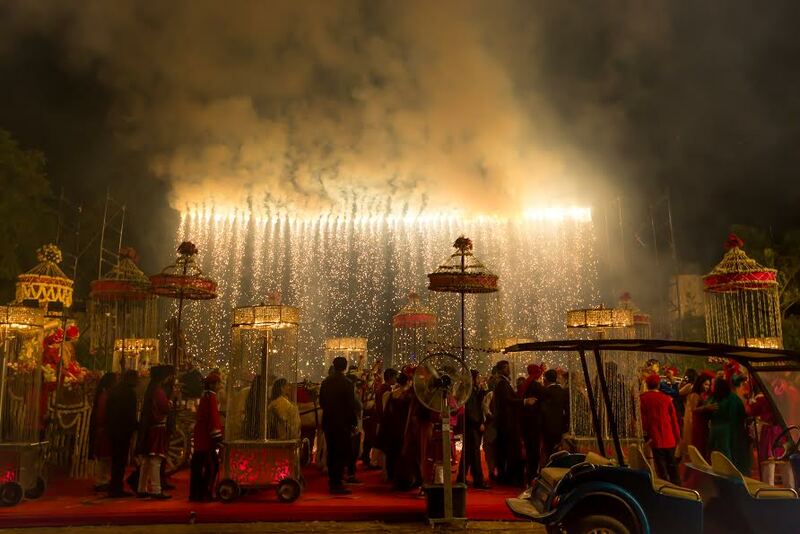 INvision planned, managed and executed the wedding celebrations for The Sharma Family of Jhansi. The agency was responsible for planning, management, decor and hospitality. The celebrations commenced with a traditional thread ceremony that marked the auspicious beginning for the celebrations. 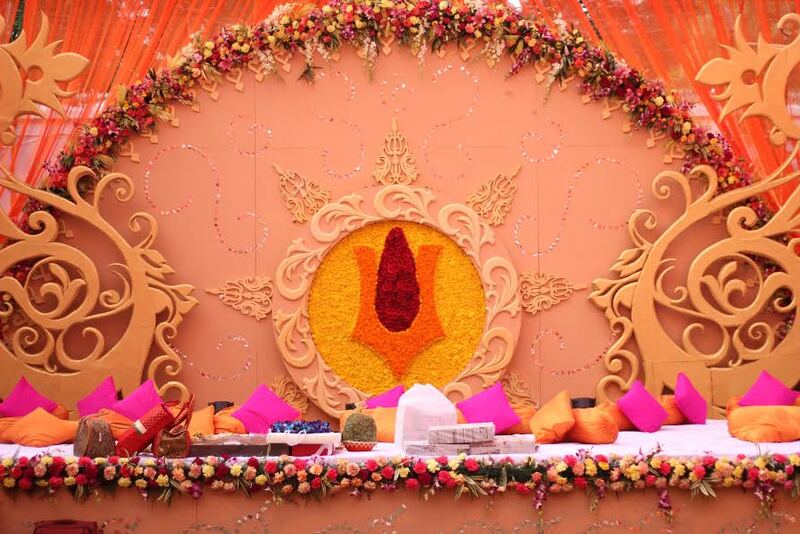 The stage featured marigold with hues of yellow and orange in keeping with the feel of the event. The morning of the engagement day, saw another traditional event. It was the tilak ceremony. 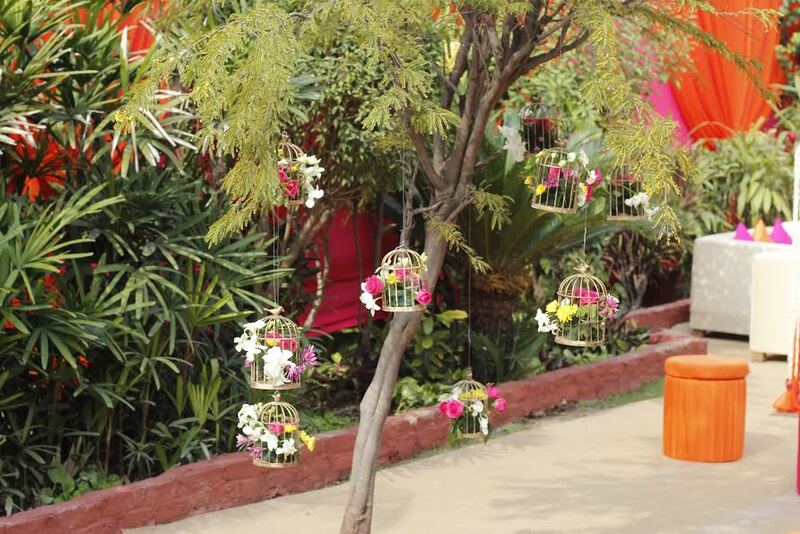 The brides side was welcomed with dholis into the venue which was draped in Fusia and orange finery. 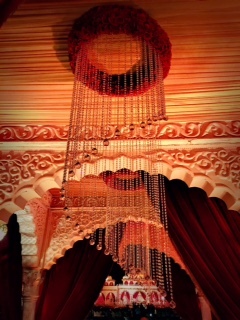 Exotic flowers decorated every corner of the venue, making it look rather divine. 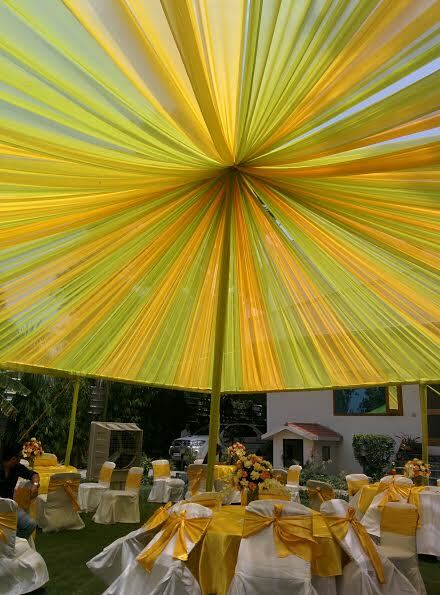 According to the agency, the decor of the engagement ceremony took months of planning. It was a larger than life event, so everything that was created for it had to be grand. From the twenty five thousand sq.feet hangar structure to a massive stage, and from the chandeliers to the drapes and centerpieces for the tables, every thing was planned in utmost detail by INvision and tastefully executed too. 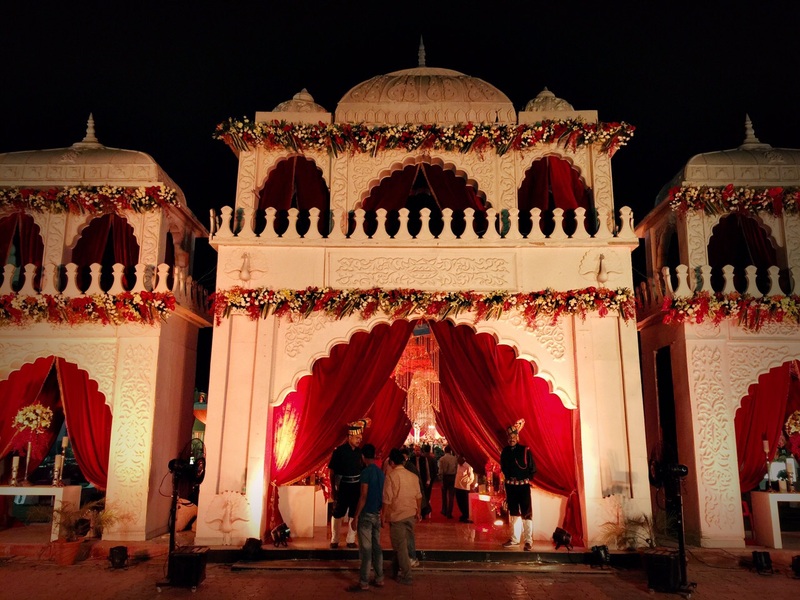 The wedding took place the next day at Mallu Farms, New Delhi. 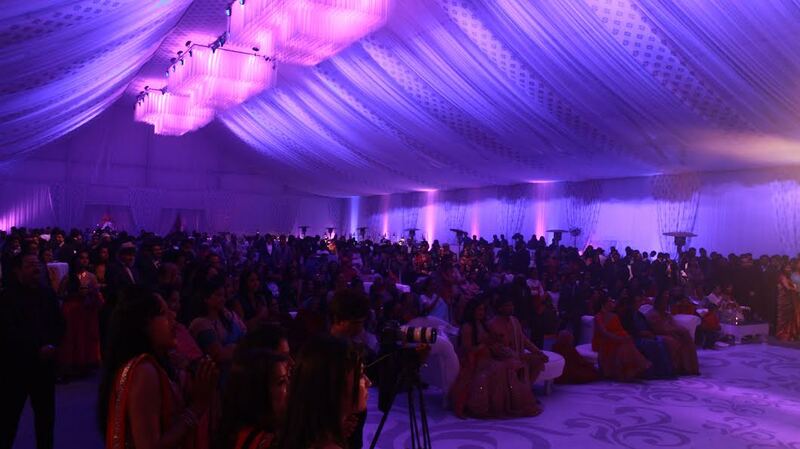 Every inch of the venue had elements that pleasantly surprised the guests. 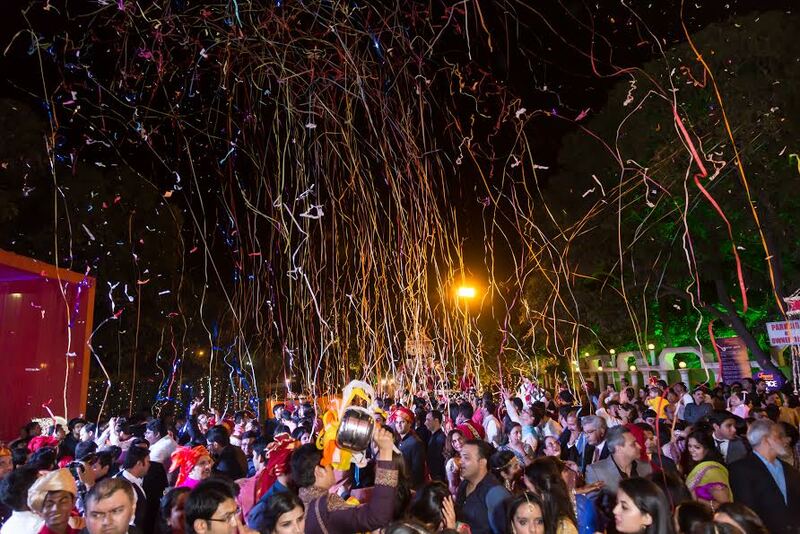 Fireworks lit up the night sky, while the confetti shots made it colorful and bright. The sheer magnitude of the procession was an unmissable sight. The reception was organized in Jhansi. As it was a welcome ceremony for the bride into the town, the decor was kept to a very traditional maroon and gold theme. With velvet drapes on the jharokhas and golden crystal chandeliers in the pathway the palace like structure looked gracefully decked up. Speaking of the challenges in execution,Gagan Takyar, Director, Invision said, "This event for specially a challenge because of the logistic issues we faced. Jhansi is 450 kms away from Delhi. 13 trucks carried the raw material all the way from there and 400 men worked for 15 days to make it all happen. The chilly weather at 6 degrees wasn't helping either." The agency was responsible for planning, management, decor and hospitality.